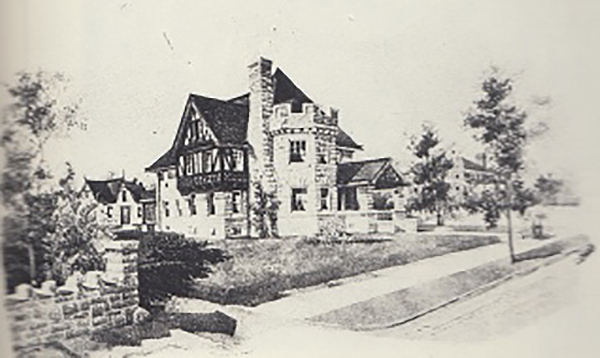 Surrounded as it is today by apartments on fast-moving Southwest Trafficway, it is easy to miss the first house that was built on this Roanoke block. But at the turn of the 20th century, the home of D.P. and Sophia Thomson stood alone, awaiting further development. Thomson was a pioneering Kansas City photographer. It must have been quiet on this Summit Street block when D.P. and Sophia Thomson moved in around 1900. Although the Roanoke subdivision had been platted and laid out, it had been slow to develop. When the Thomsons moved in, theirs was the only home on the block that is today’s focus: Summit Street (now Southwest Trafficway) to Madison, 37th to 38th. 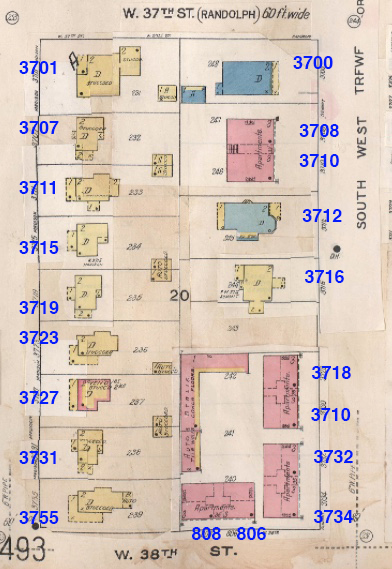 This 1909-1950 Sanborn Fire Insurance Map shows the block with its mixture of homes and apartment buildings. As part of our Uncovering History Project, the Midtown KC Post is taking a look at each block in Midtown, including a set of 1940 tax assessment photos which is available for many blocks. (Many people seem confused by the tax assessment photos, which all include a man holding a sign. Here’s the story behind them). This post focuses on the block between Summit Street (Southwest Trafficway) and Madison from 37th to 38th. When David P. Thomson (who preferred to be called D.P.) came to Kansas City in 1873, the photography business was new. He hadn’t planned on a career “making” people’s pictures, but when he stumbled onto the new art form, he discovered a passion for it. In 1873, after learning the ropes, Thomson signed on with the Union Pacific Railroad to travel to the Rocky Mountains and take pictures to be used in advertising. The train traveling west stopped in Kansas City, where Thomson and wife Sophia were so impressed with the growing town that they asked to be released from the railway commission. They stayed in Kansas City and built a business as the city grew up around them. Thomson formed a partnership with Merine & Williams, a photography studio at 612 Main Street downtown, and spent the rest of his life making pictures. (Thompon would later buy out Merine and then Williams and run the studio in his own name). In 1892, the Kansas City Star boasted that no gallery in the country could compete with the new one Thomson had built. He took portraits of the famous actors who came to perform at the Coates House; captured debutantes as they were entering society; and photographed Jefferson Davis when he passed through town in 1878. He reportedly took more than 175,000 photos of individuals during his career. When Thomson and Sophia first came to Kansas City, they lived in the fashionable Quality Hill area. They joined many other well-to-do Kansas Citians moving south in the early 1900s. They settled in the new Roanoke addition at 3712 Summit, when Sophia died in 1922 and D.P. 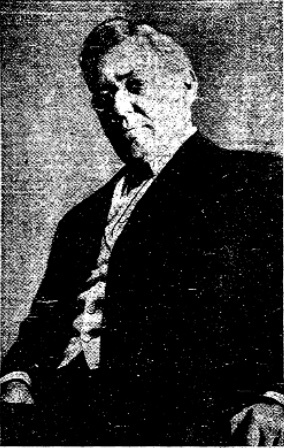 died in 1933. By the 1920s, apartment houses were sprouting up in fast-growing Midtown, and a cluster of buildings filled in the corner of Summit and 38th. Another smaller building went up near the corner of 37thand Summit, both locations taking advantage of the streetcar route right outside the door. Other homes joined the Thomson residence. S.B. Bell secured a building permit for 3700 Summit in 1908. Development surged in 1921, when the Agee-Block Construction Company began building 14 new homes on the Madison side of the block. The company advertised, “You can buy a new home now cheaper than most of the older ones are being priced.” By 1922, all but one had been sold. 3700 Summit: Maurice Lane, grain merchant; wife Annie; son John. 3712 Summit: D.P. Thomson and wife Sophia. 3730 Summit/808 W. 38thStreet: This large apartment complex housed more than a several dozen families. 3755/35 Madison: Clark Strickland, president of an insurance company; wife Musetta; daughter Cecelia; and granddaughters Ruby and Betty Muser. 3731 Madison: Earl C. Bundy, a hardware traveling salesman; wife Zoe; son Merrill C.; and mother-in-law Rena Semans. 3727 Madison: Major B. Coleman, a real estate salesman; wife Bella. 3723 Madison: Roger Inglis, insurance salesman; wife Lorena. 3719 Madison: Walter M. Medlock, a railroad foreman; wife Bessie; son James C.; nephew Gilbert Gentry. 3715 Madison: Orland S. Bone, a livestock broker; wife Clara; son Robert C.
3711 Madison: Oliver B. Nash, a paper salesman; wife Helen L.; daughter Zerhina; and niece Violet A. Foster. 3707 (listed as 3207) Madison: Sidney Cook, a banker; wife Mildred; sons Robert and Kenneth; niece Elizabeth Fryer. 3701 Madison: Lawyer Jay M. Lee; wife Blanche; step-daughters Dorothy and Eula Castle; mother-in-law H. Louise Blades. The slide show below shows the buildings on the block as they looked in 1940. Our book, Kansas City’s Historic Midtown Neighborhoods, is available for $21.95 plus postage. Contact Mary Jo Draper at mjdraper@midtownkcpost for a copy. Let us know if you want us to come to your neighborhood association or organization’s meeting to share what we’ve learned about Midtown neighborhood history and tell your members how they can help preserve Midtown history. Excellent information…..r there any negstives orvphotos raken by DP Thompson or Williams and Thompson still around….msybe n archives n the greater KCMO area…? I have two people photos for verification…..taken berween 1895—1920…..
Hi…excellent article…. R there any photos taken by DP. thomson…or Williams and Thomson. Still available…?……………maybe n archives in the greater KCMO area….